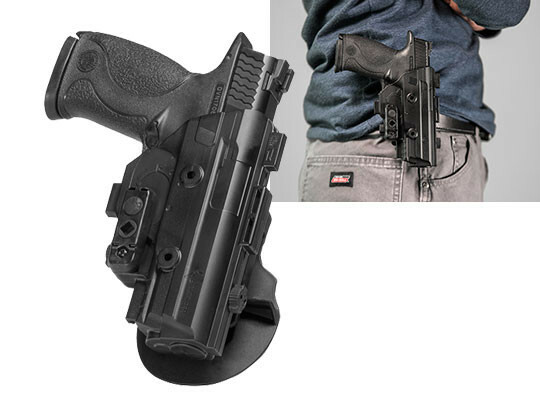 An S&W M&P40 paddle holster would be a great thing to have if someone made one that you could actually carry with. So many of them are relegated to occasional use, such as wearing around the house, during quick trips out and about, or use at the range. There are a few common problems with paddle holsters. A lot of them are sort of generic one-holster-fits-all designs that require you to use a thumb break to keep the gun holstered at all. A lot of them have flimsy paddles that could easily break. Some have paddles that just aren't comfortable to wear and so on. Why even bother? 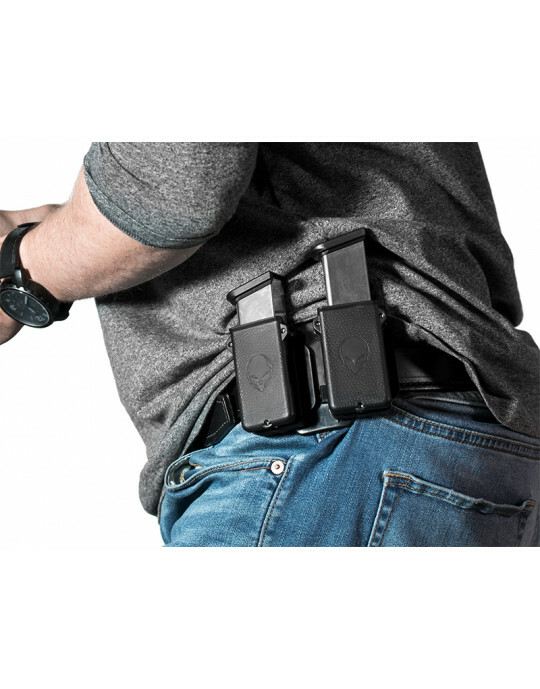 If you can't trust the holster, you have no business carrying with it no matter how convenient it seems. Until a better paddle holster design came along. 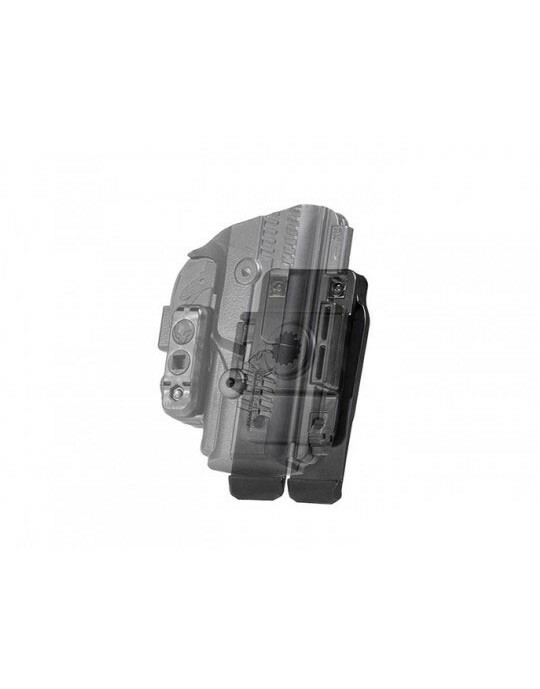 The ShapeShift S&W M&P40 paddle OWB holster has been designed to obliterate the typical shortcomings. We designed it to be the paddle holster that you really can carry, either on a daily basis or whenever it strikes your fancy. First, the holster is molded for the M&P40 and only the M&P40. As a result, the holster naturally retains the pistol. 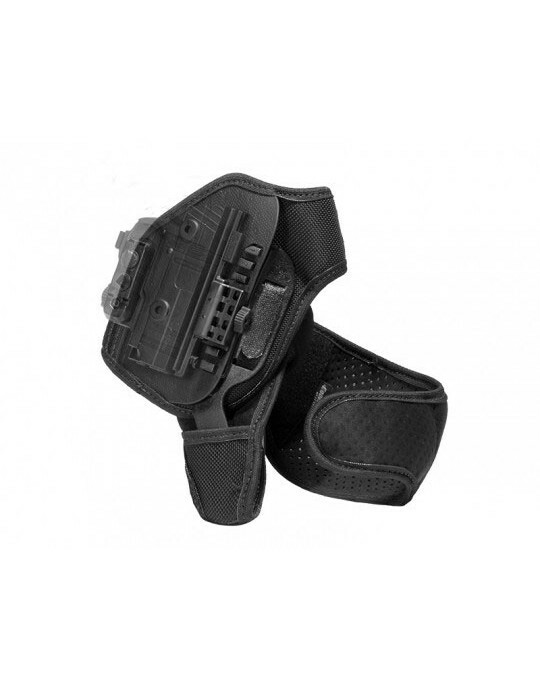 No need for a thumb break just to keep your gun holstered. However, retention is fully customizable. 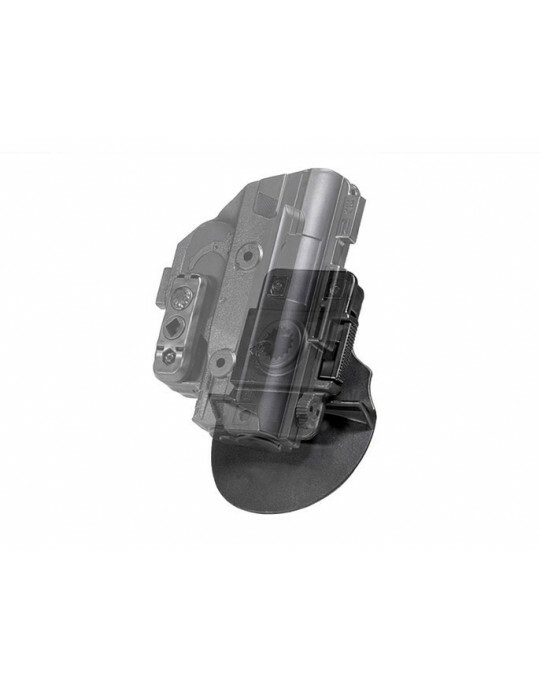 You can install the Adjustable Retention Unit for adjustable passive retention, or install the thumb release for an active retention device. 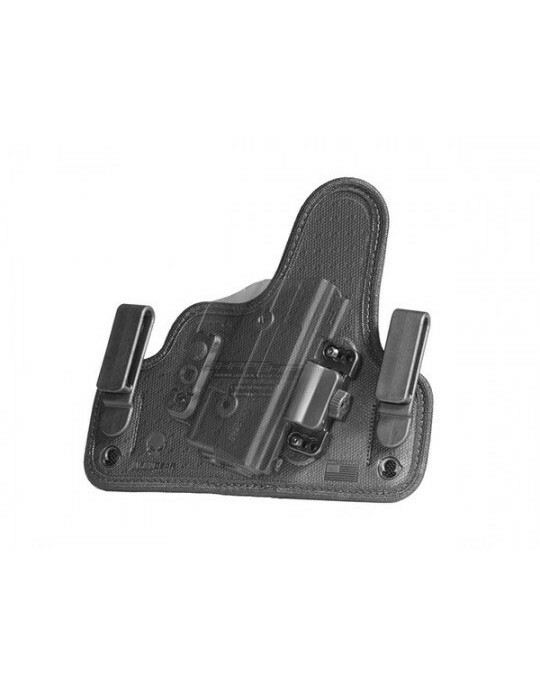 Or both - and use it as a Level II M&P40 retention holster. The paddle attachment is contoured for comfortable carry, and can be adjusted for cant angle. The injection-molded paddle is made from a nearly unbreakable polymer, and features a retention lip to keep it from slipping once inserted over the belt. If desired, you can even change the paddle attachment for a belt slide. Looking for a guarantee? Ours is Iron-Clad. First, we'll give you a full month to wear your holster and evaluate it. If you aren't satisfied with it, return it during that time for a full refund. 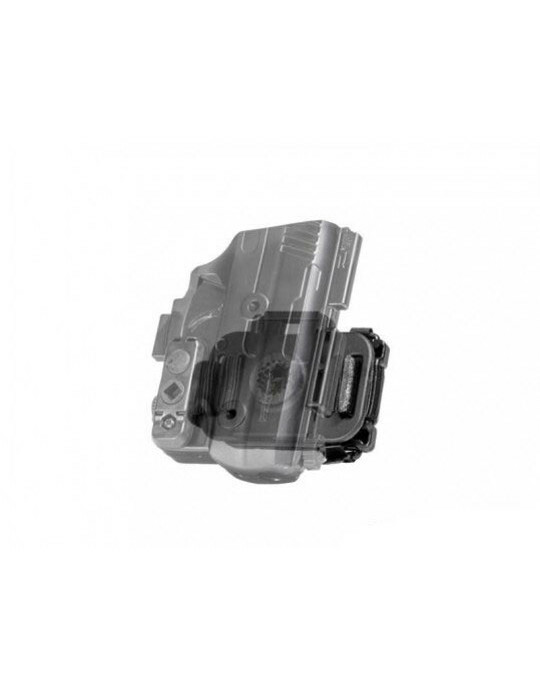 We also warranty the holster for life, against any defect or damage. If anything happens, we'll fix it or replace the holster. 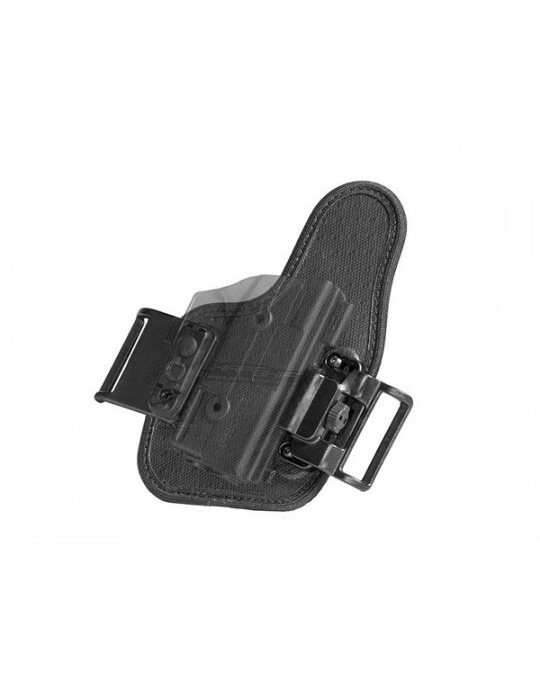 Why not shift over to a better holster?